On a day when the weather turned out to be better than the forecast RAY DUNNE with 41 points won the inaugural Super Sunday with DAMIAN BYRNE just behind on 40. They were followed in by TOM McGUIRK, DAVE O'DRISCOLL and DAVID JONES all on 38 points. 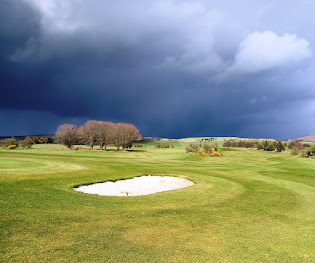 6& 1/2 to 2& 1/2 Loss, Home Team: Damian Byrne Won on the 14th , Gerry Brady lost 5&4, Ray Dunne lost 4&3, Colm Daly lost 2&1 Away at Powerscourt: great performances by Tommy Dunne,Mick Kelly & Andy Foot all Halved their matches (as they were called in), Brian Cruise lost 6&5, Darragh McCusker lost 9&8.One more win at home may have seen us through as all 3 of the away 1/2's went on to win. captain's & Secretaries outing at DelganyGC, we were pipped for 3rd place on a count back. Team: Leo Mahon,Brian Cruise,Ray Dunne,Noel Murphy. The Super Seniors team headed out to Rathfarnham today knowing that 2&1/2 points would see them through to the Knockout stages. Kevin Barry & Peter Behan won whilst Eamonn Carroll & Brendan Clear got a 1/2, Frank McNamara & Jim Blaney also secured a 1/2. The pairings of Ger Flood & Mick O'Brien and Denis Donohoe / Mick O'Sullivan were defeated which allowed a relieved Naas GC to proceed to the knockouts by the narrowest of margins.